Divorce is one of the most stressful things that people can go through during their life. Apart from the emotional and mental toll that a divorce can take, splitting up a marriage can also have a big impact on a person’s finances. From hiring a lawyer, to paying for court costs, relocation expenses, a house sale, and more, there are many different yet unavoidable ways in which a relationship split takes money from the pocket. However, there are also a variety of ways to save money during the process of a divorce, as long as you’re aware of them. If you want to spend as little cash as possible when splitting lives and assets, it’s important to do some research and planning so that you don’t have to outlay any more funds than necessary. Read on for some top tips to help you spend less during a divorce. For any divorce proceedings, you’ll want to hire a specialist divorce law solicitor to help you through the process. However, if you’re angry about your relationship split, it can be a good idea to put off selecting a lawyer until you have your emotions under control (or at least more in hand). Obviously you will want to hire the best lawyer for the job, but it’s hard to think clearly when your emotions are clouding your judgement. Take some time before you jump into making decisions. This will help you properly determine what kind of legal aid you require, what options you have, and what questions you need to ask a potential consultant. Once you have chosen a lawyer, utilise their services to educate yourself on the process of divorce, and the ins and outs of finalising financial settlements and custody agreements. You will want to clearly understand what your rights are, what you need to discuss with your ex, and how long the whole thing might take to get sorted. To keep legal costs to a minimum, go into any meetings or phone conversations with your solicitor well prepared. Don’t waste their time (and your money, since they charge by the hour) dithering. Instead, have all your questions and paperwork in order before the meeting begins. By being prepared as possible, particularly when it comes to lists of financial assets and liabilities, you’ll not only save yourself cash but also help your lawyer quickly and more easily determine what your next step should be. As well, whenever you can, ask your lawyer questions via email rather than on the phone or in person. Putting things in writing is generally always quicker than having a conversation which can take longer than expected. Similarly, whenever possible, communicate directly with your ex to determine information, rather than asking your solicitor to contact them. This can be a big money saver over time. In addition, it’s a good idea not to change lawyers unless it’s truly unavoidable and you think your current representation is inept. Any time you have to brief a new attorney on your case and all the background information that goes with it, you have to pay expensive legal fees. Stick with the one lawyer/law firm to keep costs to a minimum instead. Other people it pays to contact for advice are tax specialists and financial planners. If there’s a decent amount of money at stake in the financial settlement, you’ll want to talk to a tax advisor to find out the implications of a proposed agreement, as well as any beneficial tips for minimising tax costs. A financial planner can also give you advice on how much money you’ll feasibly need to support yourself and any dependents. They can help you determine if you’ll be able to cover the cost of the house you want to keep, or what to do with any settlement proceeds you receive. One of the quickest ways that people spend more money than they need to during a divorce is by letting their emotions get away from them. It’s important not to fight with your ex over things you don’t care about — after all, the more the two of your argue over belongings, the more your legal bills will add up. It also pays to settle out of court wherever possible. A litigated divorce (where a judge has the final say on the division of a couple’s assets, payments, and visitation rights) can be incredibly expensive. Most cases that end up in court cost many thousands of dollars, and can often end up being more than the property involved is even worth. Try to come to an agreement with your ex so you can steer clear of any court involvement. Speaking from experience divorce was more like death and you’re right about keeping your feeling in check. It seems during that time everything is so much exaggerated and over the top. Keeping a level head and focusing on what is the right financial decisions that need to be made I think is very important. 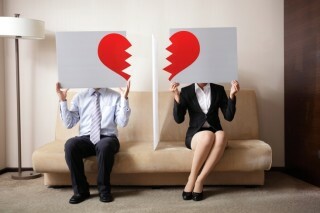 Even the most civil divorces can be very costly. Mine left me feeling like I was starting back at square one financially. I agree that getting your emotions under control is key to avoid expensive escalation of your proceedings. Try to be as fair as possible and decide what will truly matter in your future rather than how you can get back at your soon-to-be-ex. Settling out of court is ideal, just make sure you have it all documented so there’s no questions or problems later. I didn’t realize just how expensive a divorce can get if it ends up going to court. I’ve got a close friend that’s planning on getting a divorce pretty soon, and I’m sure they wouldn’t be able to afford letting the situation go that far. Here’s to hoping that they can each work with their lawyers to settle everything outside of court so they won’t have to spend more than they can afford to! I didn’t realize that bankruptcy was so common during or after a divorce. I can see how that would end up being a burden in a lot of cases though. It’s probably good to talk to an attorney throughout the process to know if you need to file for bankruptcy in order to get back on top of your finances. I thought it was interesting that you suggesting using a lawyer to help save money during a divorce. As you suggest, however, a lawyer will help you to understand the legal process and be prepared for your case. Hiring a lawyer makes things go a lot more smoothly so that the legal process of the divorce will go quickly. In the long run, this definitely saves money. Plus, it helps you stay sane and keep your peace of mind during a stressful event like a divorce. Thanks for the insight! I’ve been trying to find a good family lawyer and I want to do it as cost effective as I can. I actually hadn’t thought about getting advice from tax consultants. It seems like they could really help with that. I’ll be sure to look more into that. My wife and I are divorcing and going our separate ways. We have four kids together. It will be hard to figure out how I can provide for four kids on one income. Throughout our marriage, we had two incomes. My ex-wife makes more than me. Can I expect her to pay more in child support? My friend is currently going through a divorce and has two kids. He’s emotional about the whole thing, which is to be expected, but thanks for your tips on keeping a clear head. After reading this I think a good lawyer, who knows the ins and outs of custody agreements, is exactly what he needs. Divorce can be really expensive. I think a good point is made, that with a good lawyer you can help keep the costs down. You can still get a good lawyer that will help you with your case, but just get someone with reasonable prices. Thanks for sharing this advice on saving money while you are going through a divorce! Right now, my husband and I are in the early stages of divorce, but I want to ensure we don’t waste any money. I’ll definitely be sure to try hiring a financial consultant to see what can be done to ensure we don’t waste money. We will also be sure to be prepared before we search for attorneys to save a bit! Thanks for sharing these tips, especially because divorces can be so expensive. I have a cousin who has gone through two divorces, and it’s insane! I especially like how you included doing your own preparations so that you save time and money. I think a lot of people don’t realize that hiring a lawyer doesn’t mean the lawyer does all the work! I agree with you that divorce doesn’t only cause mental and emotional stress but has a big impact on your financial situation. I had a friend go through a divorce and he was left with little money after all was said and done. I think an important part is picking a good divorce lawyer, and I like what you said about taking your time before jumping into making decisions. Thanks for posting! Excellent article! I’m going through a divorce, so I’m glad that I stumbled upon your post. I think you’re absolutely right: it’s important to save money with attorney fees by only utilizing their services when you need them. I’ll be sure to follow your suggestion by being as prepared for the divorce as possible. Thanks for the great tips; you’ve been very helpful! Divorce is definitely something that is hard and can be really stressful and emotionally draining. That is why it is so important for you to get all the help you can get when it comes to things like this. You really want to take the time to find the best possible lawyer for you. By doing that you can be more educated on the subject, and you can take a lot of stress off of your shoulders. I’ve never been through a divorce, and hope I never have to. However, I know it’s a reality for some people. Like the article says, I would hire a specialized lawyer. They’ve always helped me save a lot of money and stress in the past. My spouse and I recently made the decision to get a divorce and money is definitely a concern for me. I am taking my time with looking for a family law attorney because I want to be able to find someone that will fight for me but won’t break the bank. Your tip about keeping emotions in check is really great because that is definitely something that I have struggled with. Hopefully these tips can help me with the divorce, thanks for sharing! Choosing the right lawyer will make or break your bank account. Doing your research will help you find the best lawyer for the lowest price. Fantastic advice. Thanks so much for sharing! Taxes are already so confusing in general. I can’t imagine how much more crazy and difficult they would be after a divorce! That’s not something I think most people consider when getting divorced, so I’m really glad you included it in this article. Going through a divorce would be awful and expensive. It’s good to see that there are ways to save money during a divorce. On top of that, I’m sure having a good divorce attorney that will be able to represent you well. Thank you for sharing this helpful advice Some people believe that they will save money by not hiring a lawyer. While this might be true in some cases, most of the time it will be at your disadvantage to not hire a divorce lawyer. Lawyers are trained to help people through legal processes that are difficult to understand. Oh hey, the part that talks about financial planning sure had me thinking about my brother’s situation. His current situation is that he’s facing a property tax settlement with his previous spouse that has been calling him about selling and evicting him from the house that he lives in. In this situation, how would a lawyer deal it out and prevent my brother from getting his house sold and evicted? Lee, the other day a friend of mine said that she is thinking of hiring a divorce lawyer. The tip about educating yourself on the process of divorce and custody agreements with the lawyer seems like a good idea. I will have to show her this information. She might find it useful.